If you work in a modern-day agency where the dedication and passion of the first core entrepreneurs have yielded fruit and resulted in the growth of the number of staff, then this could also be your story. When the core team expands, at times, exponentially, businesses experience the pangs and pains of growth. As the operation is scaling up, maintaining quality across projects, efficiency and involvement of team members come at a price. The three-man stance that had quick efficient meetings even as they settled on their own desk and went on to deliver a super-productive day might find it difficult to rope in a team of ten, fifteen or more to deliver the same high-level product and service without the overheads of extra meetings. As the organization brings in more clients and projects, we often find ourselves in the situation where teams are handling multiple projects on a daily basis. The information that is associated with different projects is itself already a big load especially when one factors keeping track of projects as they progress from one task to another and from one phase to the next. This takes on more weight in cases when team members work on multiple projects on a daily basis. This is our scenario at Keen as a web development agency, and in such a scenario, a lot of communication has to occur. From informal chats when people meet at the water dispenser to emails, online chat and meetings, the projects that our company churns out are a result of this communication! Often a source of headaches and possibly even conflicts between project managers, our agency manager finds herself in the situation of a stationmaster where multiple trains will roll over the same track servicing different customers. No one must be left waiting or given the impression that s/he has missed the train and likewise the trains need to be managed and maintained to run at the best of their abilities. This is no easy situation! From the perspective of a station master, there are many difficulties that are faced on a daily basis such as the need to have meetings to discuss, meetings to plan and meetings to clarify. Having been in charge of big projects and multiple teams for several years, I know the feeling of wanting to drive the project further and more efficiently and meetings are a necessity that at the same time eat yet another chip of the scare time that could actually have been spent on productive work. However, I also believe that without the discussions, the team will not come up with the most innovative solutions. Likewise, without the plans (and the explanations of such plans) there would be confusion about the sequence of jobs and their allocation. Ultimately without the clarifications, the stumbling blocks and hurdles that challenge the projects will not move and therefore meetings are a must! Dedicating enough time for meetings is crucial. Apart from meetings related to the daily running of the operations, there are also less frequent meetings that are called by our higher level of management and directors. Meetings are the common denominator to having an organization on the same momentum, operating on the same wavelength and guided by the same principles. An organization that stifles meetings is going against the very basic principle of organizational learning and sharing. A company that opposes meetings is one that represses its own growth and is tethering on the path where organizational learning is difficult if not impossible to achieve. Without meetings, crucial contributions and ideas will remain internalised in individual employees and this is not in parallel symbiosis with team growth and hence company growth. One has to keep in mind that one can never really know the full extent of knowledge and experience that a team member possesses unless the opportunity presents itself and sometimes meetings serve as starting point where team members share extra knowledge or skills. Meetings are also the natural ground for brainstorming where difficult matters are sometimes thrashed and smart solutions found because one person’s idea sparks off a whole stream of significant improvements of ideas. Yes, this is all why meetings are an essential activity in an organization. On the other hand, we have all attended meetings which started off as a five-minute stint that dragged into a never-ending discussion, without yielding any satisfactory conclusions, where profuse and eloquent speakers hijack the agenda and take-over and where one meeting leads to another because the decision taker does not take a leadership role! This is truly nothing more than a waste of time and we must all be on guard about time management. Naturally in such a ‘heavy-meeting’ culture or environment as the one we have in our organization, we have to recognise that every meeting takes another slice from the solo creative work. Dicing up one’s schedule erodes into the possibility of reaching optimum concentration and at times people resort to working early or late to regain solo time for optimum concentration. This is something crucial that has to be noted and respected and kept in mind by our project managers who schedule work on a weekly basis and who call the meetings when needed. The following are a series of practices that we have in place at Keen Web Development Agency where we believe that time is the most precious resource and gift. Time management should always start with knowledge management and knowledge organization. Every day, everyone on his/her desk is an information agent, creating information, processing information and disseminating information. In the digital age or the third wave economy, the information is a richness that can easily become a scourge. An organization that does not have a clear plan about how to manage its information is paving its way to confusion, where multiple versions of the same document reside, where different people have to repeat and regenerate the same resources possibly leading not only to inefficiencies but inaccuracies. If every employee is left to his own or her own devices about how to store and disseminated information, one ends up with ‘silos’ system. And within silos information cannot be easily located and maintained. How does this tie with efficiency in meetings? Meetings hinge on information and information is central to all operations. Information management was the first thing that we have sorted out at Keen. The following are a list of changes and manoeuvres to save time on meetings! If your organization is seeking to scale up its efficiency, the first area to look at is the information that its employees use on a daily basis. The investment in a knowledge management portal will serve not only as central repository acting as the brain of the organization but it also helps in the collective memory of the organization. In our organization, this was an important and serious decision that is now the secret behind our efficiency in saving time. This is all the more valid when some key employee retires or leaves the organization as the knowledge will not be completely lost. A knowledge portal or intranet might not be easy to setup and configure but it is essential that is easy to use by the employees. Otherwise, it will defeat the purpose. Currently, our knowledge management system stores detailed information about projects and clients along with schedules, templates, calendars, tools that the teams use, and we are envisaging a scenario where possibly we link the accounting and financial systems to this knowledge base. Naturally, each team member gets his or her view of the knowledge portal according to their role. A robust search mechanism helps all the team members because we know that we are spending less time is spent searching within different systems and searching on behalf of colleagues! The knowledge portal did have an associated learning curve but are now reaping real gains across the board not only in terms of meeting times! At least a document management system! If a knowledge portal scares you, then try to think of a document management system. The age of information brought it the age of document management. Without document management systems, organizations face what I often call ‘I have to wait’ scenarios. For example, previously we at Keen have experienced scenarios where if one team member is away from the office for a morning and a colleague needs to locate the latest versions of a specific document, there are two options – wait or search. No one enjoys waiting and the second option might not be possible especially if it is a case of looking for a needle in a haystack. Now, these scenarios have become a rare occurrence in our business day – and this is a lot of time saved! In its simplistic form, a document management system is a structure of folders that are designated and enforced from the higher management to ensure that people are saving documents in the appropriate place and according to pre-designated protocol. When firms resort to having non-central structures this is opening the door to chaos in the future. Document management systems are best when they are centred around the functions of the organization, not around team members. If you’re in senior management and you have no such system in place, think about if your main customer executive moves on today. Ahead of you is a frustrating period where you will be searching for documents, every time you need to access documents that this person might have worked on. Meetings can only be effective and improved if the issue of knowledge and information management is already being handled. This brings us to the focal point of stepping up meetings themselves. In our company, we constantly strive to improve the meetings. Stepping up meetings can mean a variety of things but essentially anyone who is after more productive hours needs to consider a solid policy when handling meetings. These are a series of tips of how we ultimately saved 17 hours a week in meetings. If you’re used to a laid-back attitude when it comes to meetings, it can mean that every time a meeting is called, a lot of time is being thrown away. This point is not about killing the spirit but about streamlining. Every time a meeting is called, this scenario was happening at our place: – The invited message another to reconfirm if it’s yet time and if they can all start congregating in the meeting room. Once there is the confirmation from all, and the reply of each has been communicated up and down, then it could be that the next step is the coffee call. When one of the invited drops a note like ‘I’ll grab a coffee and join you….’, this would instigate the queue for the coffee machine and lo and behold the meeting is yet again delayed by another two minutes. Since this is all happening even before the meeting has started, this is a major point where savings are made. A five-person meeting with a span of a five-minute pre-meeting stance means twenty-five minutes. If your team is suffering from this condition it might be time to usher in some discipline. A set time is one that is already set and does not need a verification! If meetings are meant to be those occasions where the team rises to the occasion to elicit great performance, then the meeting needs to have clear objectives. Even before the meeting is called, one should question if there is a need for a meeting. For example, if one is exploring a new topic to engage in, is it a case of having one team member do the research, present the research during the meeting to the whole team and this will serve a springboard for the others? Or should one opt for the scenario where everyone is doing one’s own research and bringing it to the meeting? In the first stance, one is setting a benchmark and avoiding repetition. It avoids different people turning up with the same papers and it clearly states “This is our starting point”. Now we open up from here. At our company, meeting objectives have become the holy grail of meeting outcomes. Anyone calling the meeting is also responsible for setting clear objectives and in our case, this has been avoiding getting side-tracked during meetings. Having objectives that are clearly defined means that team members can focus on delivering their own bit without getting lost but it is up to the organizer to make those objectives clear. Another interesting point about meetings is their actual timing. When should we do meetings? 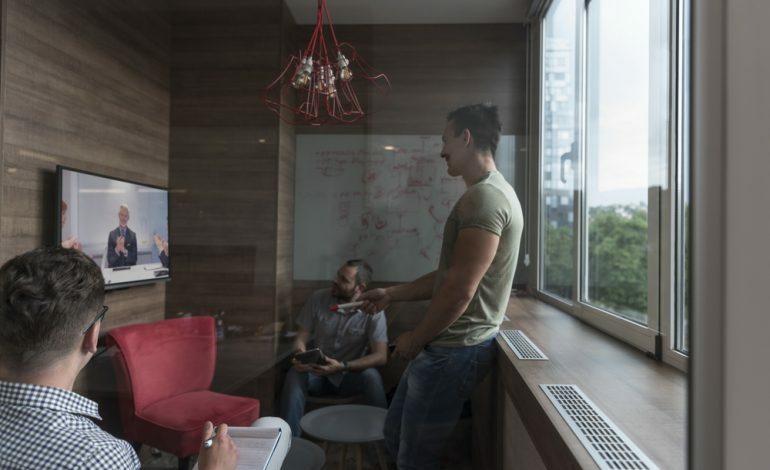 Some meetings are intrinsically tied to a specified time because people from outside are attending but in other instances, it is an internal meeting and many times the team can make it at any time. This gives the organizer the flexibility to pick up the ideal time but when is that? Sometimes, morning meetings are perfect to kick-start the day but likewise such morning meetings can wreak havoc to normal routines. Savvy meeting organizers are keen observers who sometimes identify lucrative times for meetings that actually serve as a break from routine desk work for the employees. Getting the members to do the meeting room is a switch to something else and at times manages to revitalised the day especially if the team’s efficiency is hitting a lull. This aspect has been highlighted to all executives and managers at our office and we are trying to turn our collective ‘meeting-organising’ experience into a learning experience for greater time-saving! We are striving to be more observant in the quest to establish if the best time is morning, mid-morning, before lunch time, post lunch time or last thing before closing off the working day. Who’s on the meeting list? Whilst the owner of the meeting should clearly be the one championing it, an owner needs to have the right skills to manage and channel the meeting. The owner needs to clearly identify who should be present for meetings. This question is easy to answer but can be tricky to implement. The key stakeholders need to be at the table but determining who are the key stakeholders might at times be an issue. Leaving someone out can bring conflicts within the team but likewise those who are present need to bring valued input. Apart from inviting the respective members, the organizer needs to be in charge of all the aspects. From preparing the meeting room, any resources needed for the meeting before the attendees arrive, and seating, these are all aspects that have to be factored. Smaller organizations will often have comfortable relationships but the savvy meeting manager knows that sometimes people might use meetings to jockey for their own personal wins. It goes without saying that meetings should be timed and that the original time should never be ignored. If an extension of the meeting is needed, then this needs to be discussed with those present in order to avoid jeopardising the workflow and routine of the individual attendees. If a meeting is running late, it is always important to check with all those present (even the junior staff) if this is will wreak havoc within their own routine of other work they had planned. Basic courtesy entails that those invited know the agenda and are aware of any material /resources that they need to bring to the meeting. This avoids situations where someone quips that he or she was not aware what was expected. Meetings can at times be dominated by loud personalities and the organizer or the chairperson needs to be firm, fair and polite. Loud personalities might have their say without leaving space for the quieter members who might be bringing valid contributions. If this is happening than the benefits that the meeting can usher in, are being shot down. It is always ideal to bring meetings to a closure by summarizing what was said (not repeating but just stating the main points) and planning ahead. One initiative that we have been championing, is the follow-up via email as this helps to make sure that everyone is on the same wavelength. Some of us thrive in meetings and others need their own solo time for their own thoughts to be on top on their task list. This is something that needs to be respected. Firms who fail to recognise this can be dampening the efficiency of their own employees. The solution is very simple. While critical meetings cannot be avoided, the firm that finds that its employees’ schedule is punctuated with a lot of meetings, should consider meeting-free days, i.e. days when no official meetings are happening unless it is something major. In our case, we have implemented regular meeting-free days that help to clear backlogs and focus on ‘own’ to do lists. If a meeting-free day is too much to implement, consider meeting-free mornings where all team members are encouraged to focus. If you’re getting stuck on brainstorming in the meeting room, get out of the room and get inspired. The trick is not to do this often. When people meet at a different place, such as an outside zone next to the office or the fun room within the building, different things can happen as different scenarios can trigger different outputs. Doing a fun thing once to generate ideas is fine, but, if this becomes the standard, it can start being an overhead. Not everyone understands time like a business owner. For the investor time means money, but at times we encounter employees who might have a different attitude to time. Any organization can have cases like these and when this happened to us, we knew it was time for a quick course in time management! Time management is essentially about getting the task at hand done in an efficient and effective manner. People who do not appreciate time management when handling their own independent tasks can be those that do not respect the aspects related to time during meetings. Any operations mentor will tell you that one of the biggest spokes in a team is having a team member or members who do not appreciate or are not well trained in time management. Many times, these individuals on their own will wreak havoc to others meticulous time management if they are not appropriately checked. It is essential to discuss with them and highlight the areas that are critical to improvement and give them practical suggestions that will help them and their peers on a daily basis. Sometimes a quick course outside the office is also helpful. If your organization’s main internal communication mechanism is the online chat, then consider some policies. Our Online Chat Policy has helped us tie some other loose ends and in this case, too, all the team members noticed substantial time savings! These policies should be aimed at ensuring that a question asked gets answered and a comment gets recognised. There is nothing as bad as having a chat in an organization where some individuals ignore messages. Whilst the team needs to be aware that some questions cannot be replied right away, basic courtesy means that when one gets a message, that message is acknowledged. If the person on the receiving end cannot reply right away, then the other person is not left waiting questioning if message was seen or not, if he or she is being ignored……. When quick messages are respected, one often finds smoother running and eventually some meetings are actually shorter and can be avoided altogether. It’s always safe to watch out for people who do not like email and ignore emails. This is one trait that leads to lost time. If your team includes team members who never acknowledge emails, it also time for this habit to be nipped in the bud. If you take care of the minutes, the hours will take care of themselves! This is why ultimately for us at Keen as web development agency, the gains were not only 17 hours but much more! Kristel Jo Bishop works at Keen Ltd, a full-service digital marketing agency that specialises in web development, website design, search engine optimization, online advertising and branding.